Ahead of official launch, which isn’t even scheduled yet, users can alpha test the upcoming Minecraft: Realms game, an actual cross-platform multiplayer experience for fans of Minecraft. At launch, Minecraft: Realms will allow players on iOS, Android, PC, and Windows 10 editions of Minecraft (Xbox One) to be in the same world simultaneously, bringing that teamwork spirit that was so popular when Minecraft first launched for PC way back in the day. 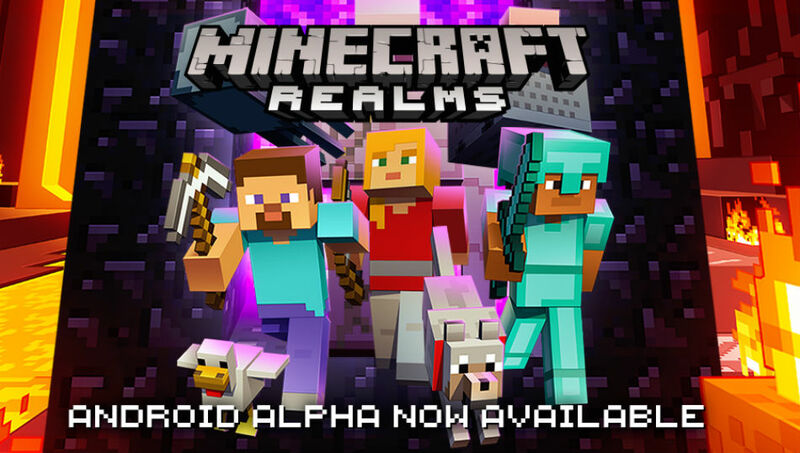 Minecraft: Realms is a simple addition to the existing Minecraft: Pocket Edition application found on Google Play, but once you are signed up for the alpha testing period, a new portion of the app will be available to you. Basically, Microsoft wants you, the player, to play the game, then report back your findings. You can find bugs, offer UI suggestions, or anything else. It’s an alpha, so you can expect many things to change before the game’s public launch. In order to enter the alpha, there is one requirement — you must have a Xbox Live login. If you already play public games on Xbox 360 or Xbox One, you are ready to go. If you don’t have one, don’t worry, they are free and quick to create. Once you are signed up, use your credentials to log into Minecraft: Realms. If you already have a Xbox login, simply follow the alpha link below to opt-in, then download the Pocket Edition app from Google Play.